Looking to add modern style to your space without investing in all new furniture? Or maybe you’re just dipping your toe into a modern aesthetic for your home and don’t want to overcommit? 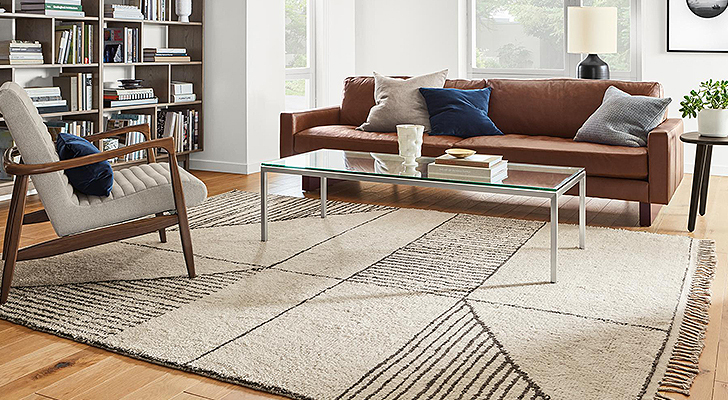 Either way, a simple rug swap is an affordable way to completely update the look of your space. Plus, it will make your furniture feel fresh, too! 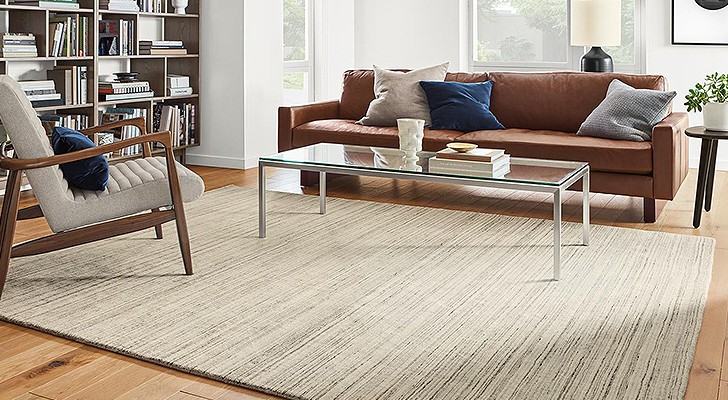 What better way to illustrate this point than with a living room where we’ve solely swapped out the rug? As you can see, it changes the look of the entire space, bringing different tones to life within the room. Still need a little help or have questions? 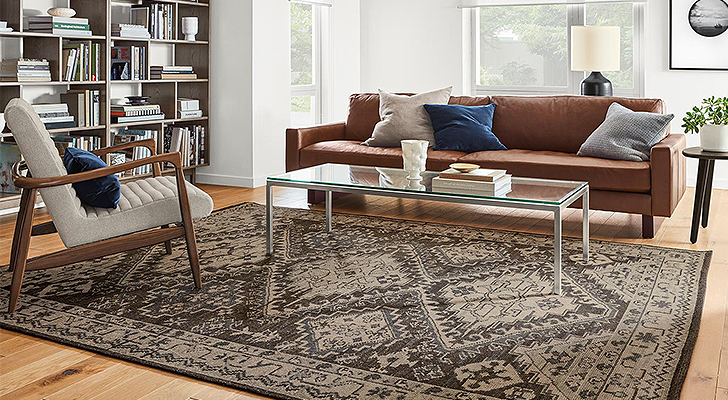 Get free personalized ideas and advice about choosing rugs for your home from our non-commissioned Design Associates in our stores, over the phone or online.